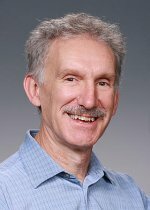 Dr. Phil Rasch, a Pacific Northwest National Laboratory scientist and world-renowned expert in atmosphere science and climate change, recently received the distinguished honor of being named a Fellow of the American Association for the Advancement of Science. Respected internationally for his work in climate modeling and atmospheric chemistry, Dr. Philip Rasch is recognized for his contributions to climate modeling—or designing computational programs that mimic the atmosphere—and connecting cloud formation, atmospheric chemistry and climate. He has developed and improved many atmospheric circulation models, some of which simulate the movement of water vapor, sulfate and other tiny, unseen particles of gas, water and matter called aerosols. He also studies geoengineering, or the intentional manipulation of the atmosphere to counteract global warming. At PNNL, Rasch is helping guide the science behind one of PNNL's most important areas of research: transforming the Nation's ability to predict climate change and its impacts. In addition, he contributes to PNNL's Aerosol Climate Initiative with a focus on integrative studies connecting lab and field work to modeling with a goal of using the Initiative's activities to improve the overall understanding of climate change. Founded in 1848, AAAS is the world's largest general scientific society. Each year, the AAAS Council selectively names Fellows from the brightest scientific minds, whose achievements have had the greatest impact on the advancement of science or its applications. The AAAS Council elected 531 members as distinguished Fellows for 2009, including six scientists from PNNL. Rasch will be honored with other Fellows in a recognition ceremony February 20, 2010 during the AAAS national meeting in San Diego.